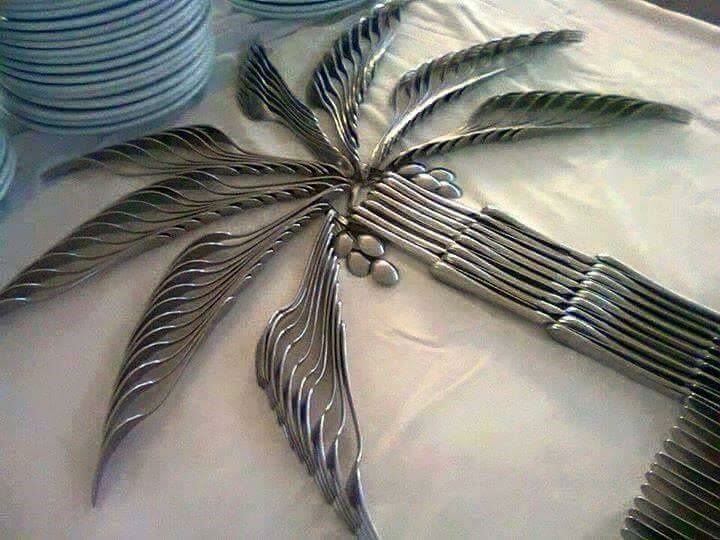 Kitchen gadgets are innovative tools if you want to be a professional chef in your house. How annoying is to make a veggie or fruit salad without a cutter. You can’t cut it with a knife and you desperately need a slicer. Is a bit nervous to cut all parts equally of fruits and vegetable, isn’t it? 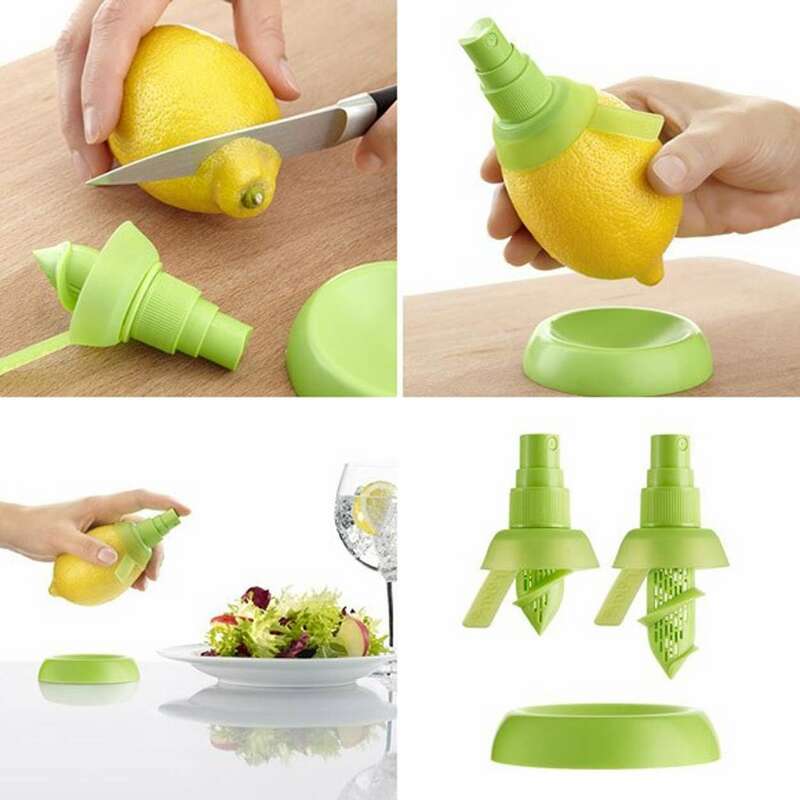 What you really need in your kitchen are innovative tools, modern kitchen gadgets. 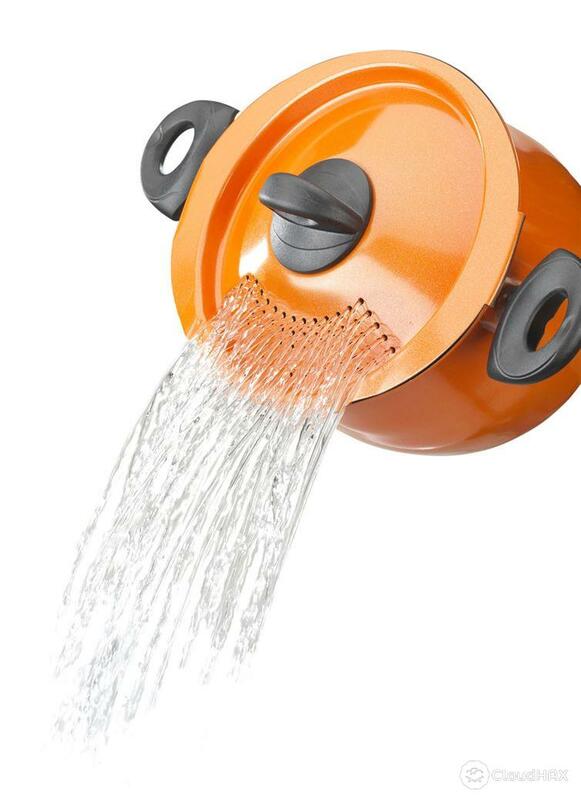 To make your life easier, see these 10 brilliant kitchen gadgets. 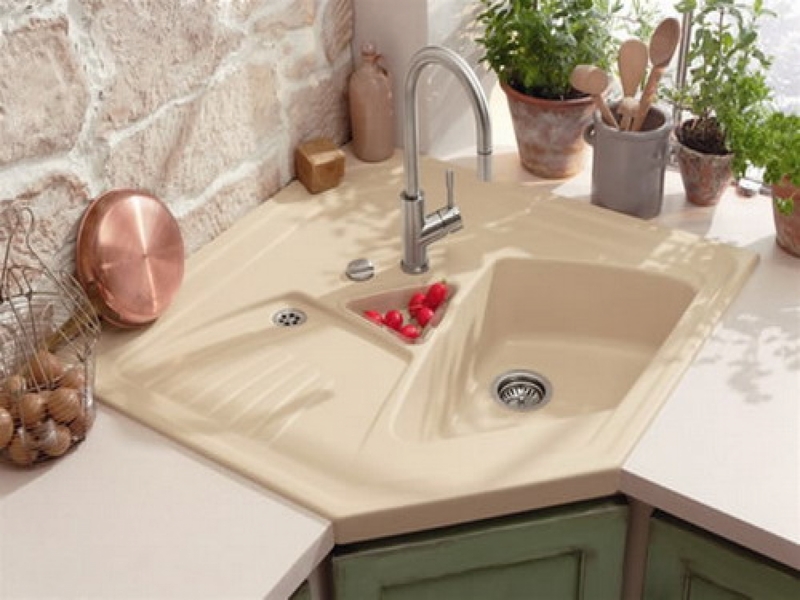 With their usage, you will save time and also you will keep a kitchen clean. Some of it you never thought you need it, admit it! 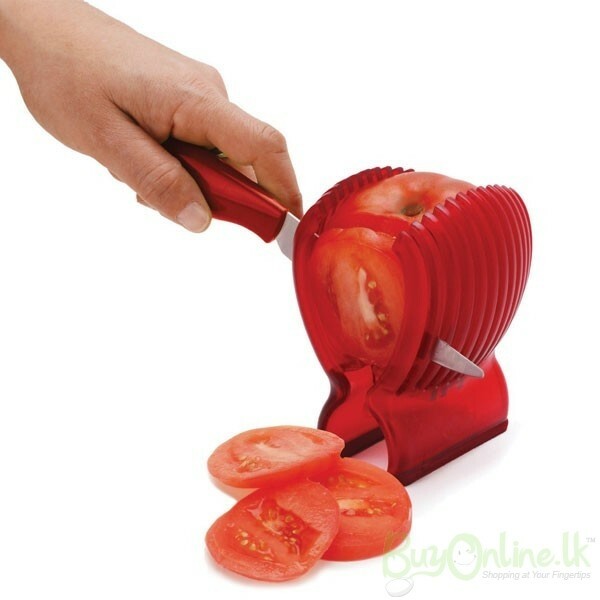 Use modern innovative tomato cutter (slicer) to cut tomatoes in equal slices. 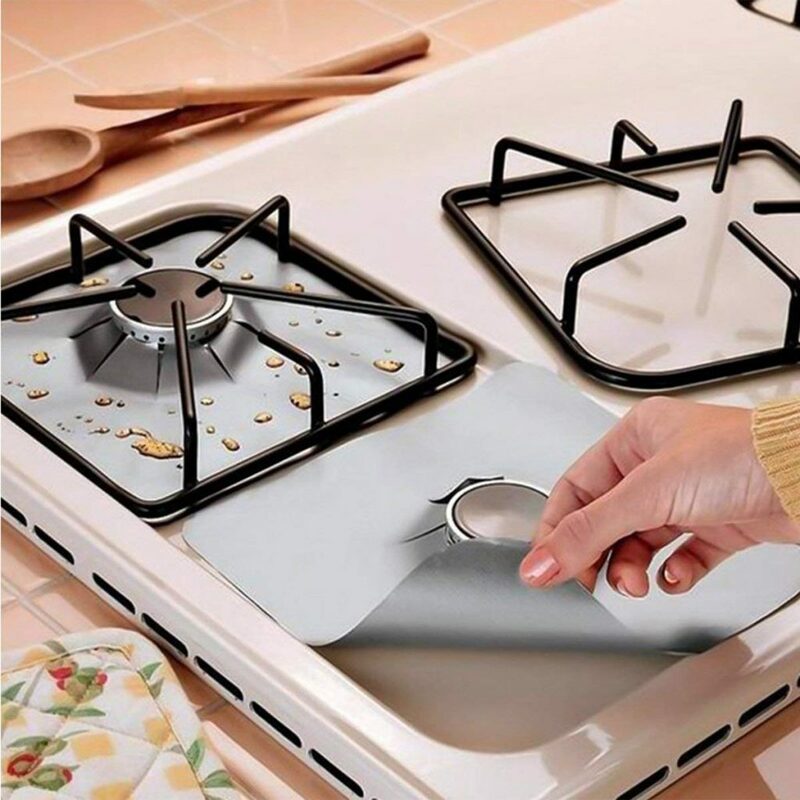 You really need this popular tool in your kitchen place, don’t you? Cover the stove and forget about cleaning. Just change the cover after cooking and that’s it. 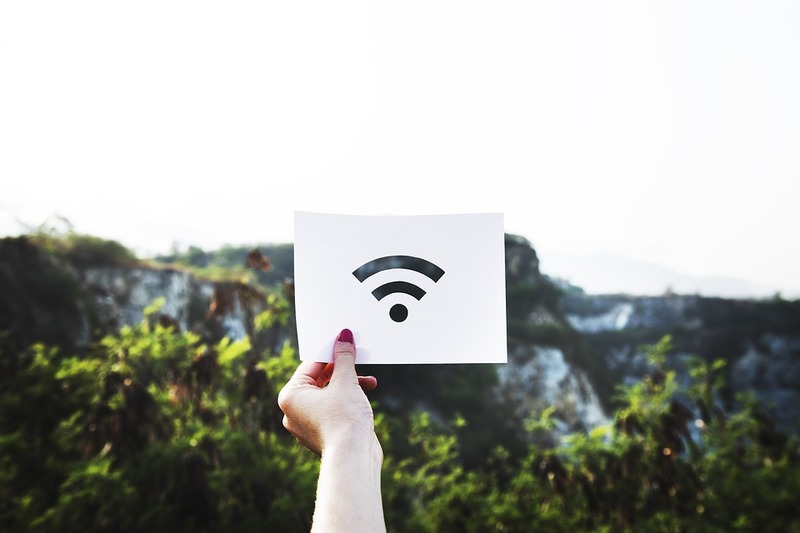 The smartest and the most contemporary idea for this day. You will need this tool for making pasta, spaghetti etc in your home. Throw away the old shredders. Save space in the drawers and of course, save on time. Cut the strawberries in a creative and easy way. 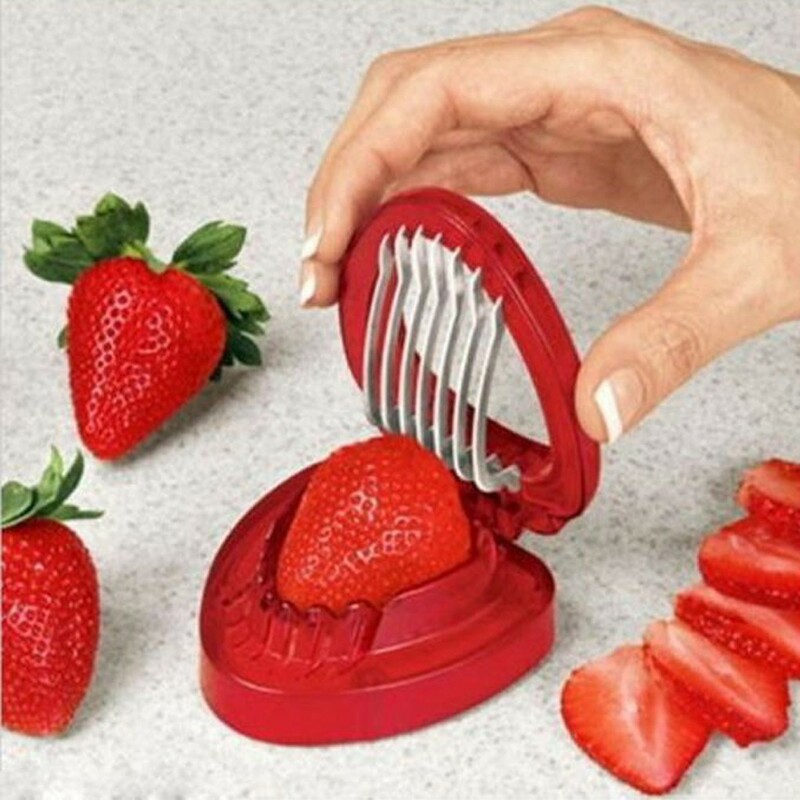 By having this tool you can prepare a strawberry cake, salad or fruit yoghurt. 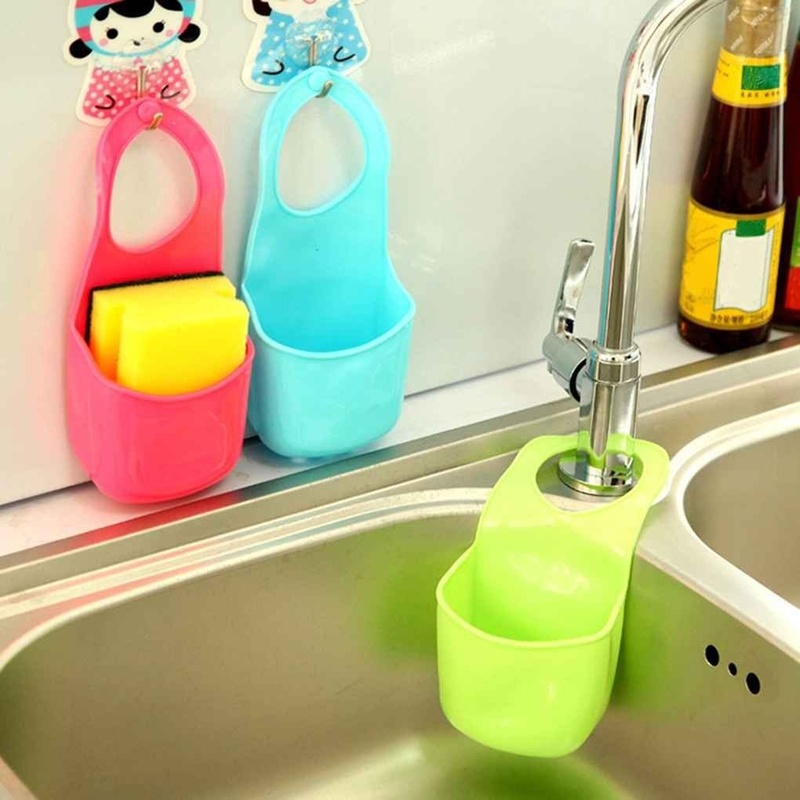 Save space on the countertop by adding a sponge holder. 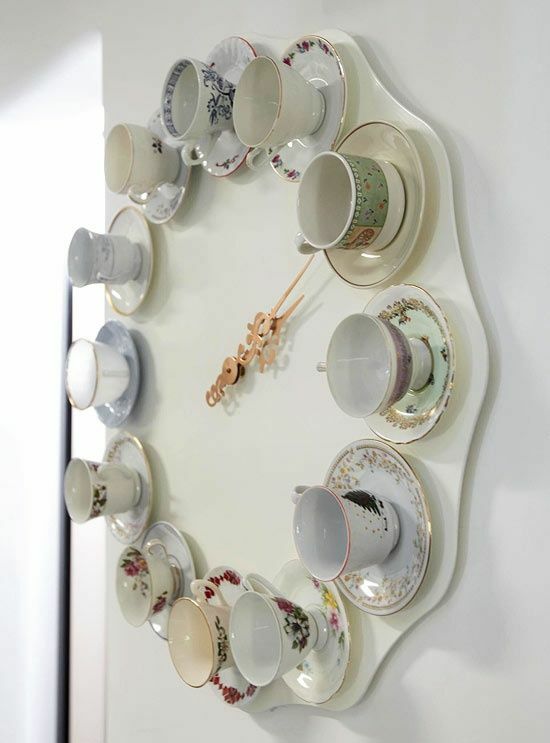 See this creative idea and choose the best colour. Solve the problem of mixing the served salad. Find a place for each different veggie. 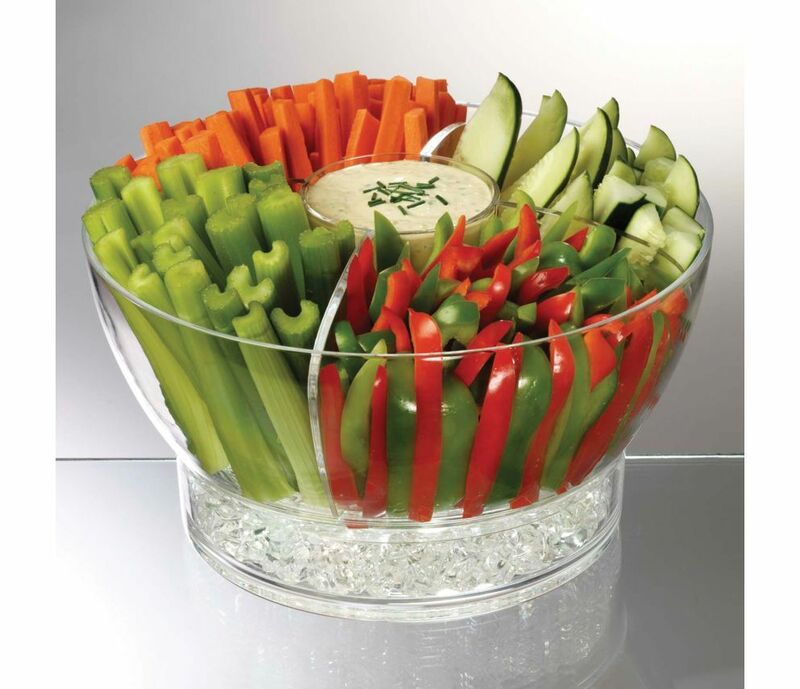 Use a bowl like the following one, to separate it. Preparing a cake at home is not easy at all. 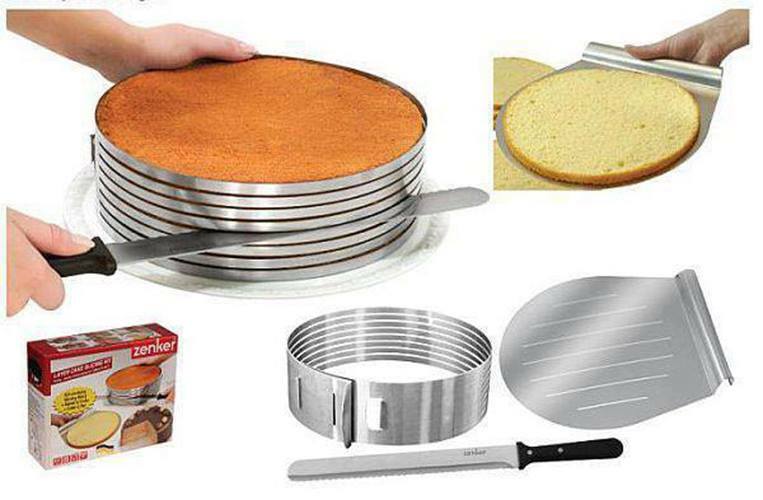 Buy this tool and cut the pies and cakes easily. 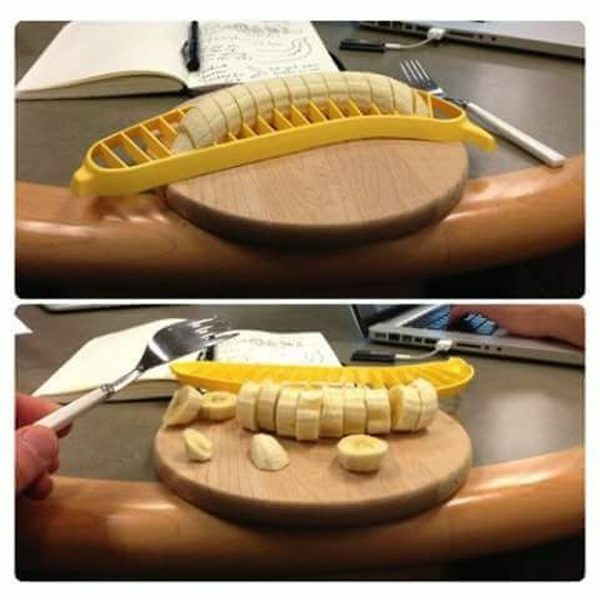 Cut the bananas in an easy way. Make pancakes with bananas and use this kitchen gadget. 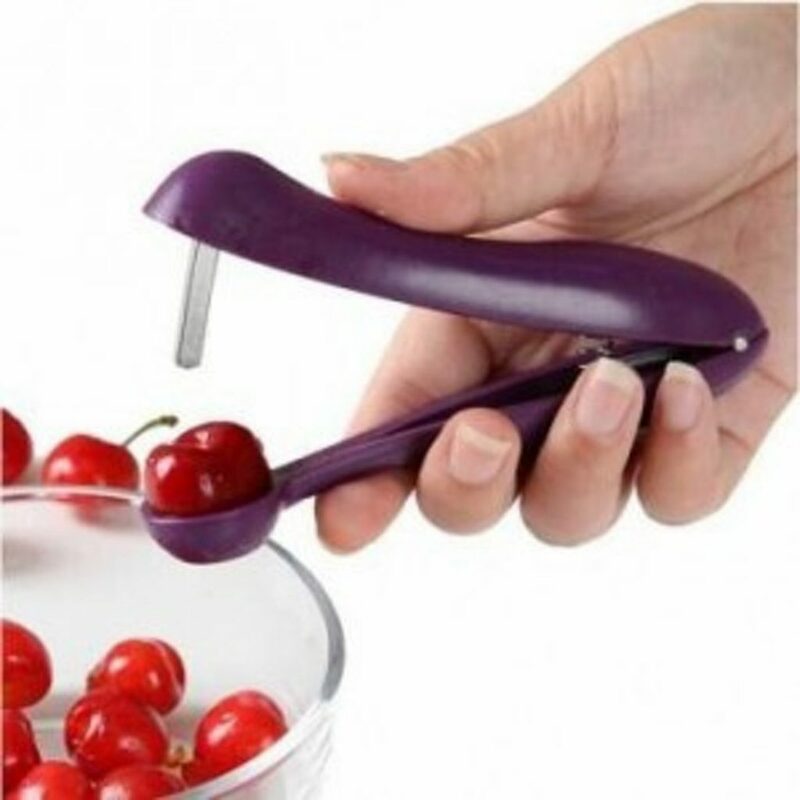 You will definitely need this tools for making a fresh fruits salad, compote or juice. Buy it! After buying it, I’m sure your kids will start to help you in doing this. 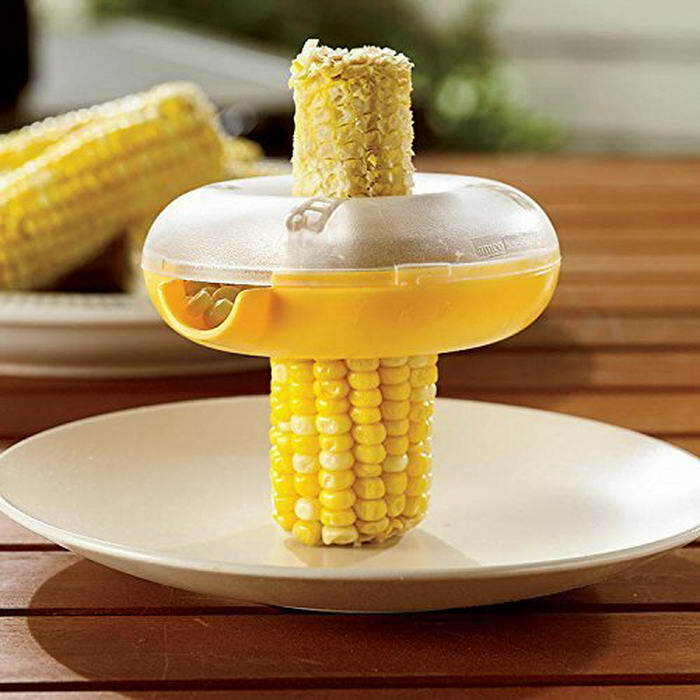 Clean corn of the cob with this kitchen tool. In a previous post, we gave you an idea about how to clean the corn of the cobs by using a microwave. Now, if you don’t want to use microwave we for doing this, buy corn kernel. 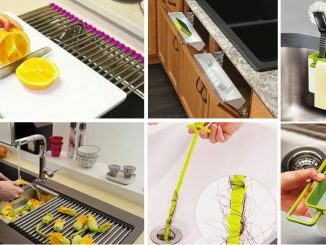 These were the top 10 kitchen gadgets we need in our kitchen to make the cooking easier. I found some of it funny and interesting. What about you? Write a comment below this post and share your personal opinion with us. 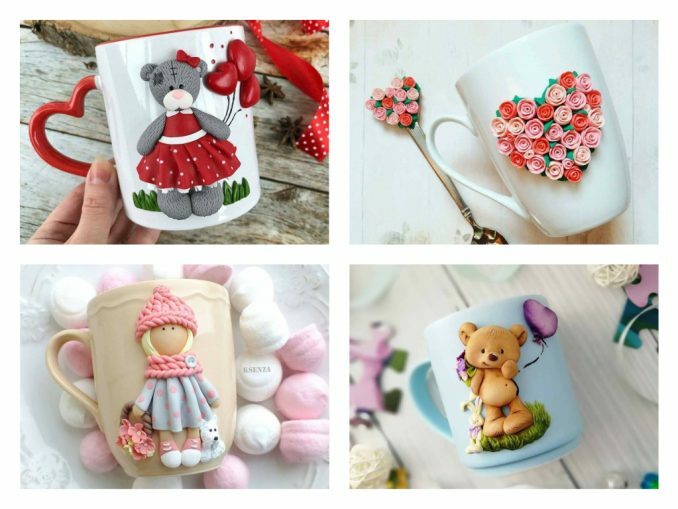 Thanks for your attention and following this website!